At the end of the 19th century the agricultural economy of North Mymms was undergoing dramatic change. A run of cold, damp summers had seen crops fail and incomes fall. Smaller farms were struggling. At the same time, wealthy professional people, whose economic focus was on London, were moving into the area seeking their own little patch of the rural experience. The area's demographic and agriculture were both undergoing rapid change. The situation was compounded by the growing reliance on imported foods such as wheat, which hit farm profits further. Most farmers at this time were tenants, and many went bankrupt or gave up their farms as it became harder to work the land and pay the rent. As the agricultural depression deepened, farmers sought to reduce their costs, the largest of which was labour. Many of the smaller farms were absorbed by larger tenants. The academic Dr Julie Moore has written a thesis about the times entitled "The impact of agricultural depression and land ownership on the county of Hertfordshire, c. 1870-1914". 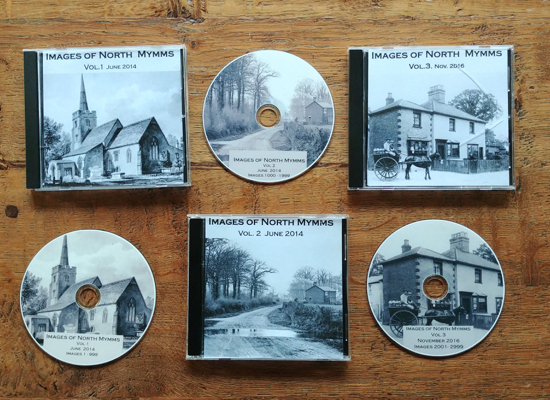 Dr Moore has kindly allowed the North Mymms History Project to use select references to the parish from her work for this feature. You can access the entire thesis here. 100 years earlier, before crop rotation and diversification, a farmer in North Mymms had dismissed his land as being unable to produce sufficient yield. A century later experts took a different view describing parts of North Mymms as providing 'the best farming in Hertfordshire'. As well as being a farmer at Bradmore Farm, North Mymms, Arthur Young was also secretary of the Board of Agriculture. He wrote numerous books on the topic. So at the time he would have been considered to be an authority. A hundred years later the situation was much the same, but over the following 50 years opinions were beginning to change, largely due to new farming methods such as crop rotation. Writing in the Journal of the Royal Agricultural Society of England in 1864, a century later, Henry Evershed commented on Young's poor opinion of the land and confirmed that it still suffered from an innate sterility which required heavy drainage and chalking of the clay and gravel soil to make it profitable. The significant difference from the days of Young and Evershed was that the major crops within the rotation were now the potato, profitable and easily transported into the major centres of population, together with liquid milk, for which demand was high and continuing to grow. The infrastructure was also changing in order to improve the movement of produce to market. By 1890 the Great Northern Railway had a specially designated milk depot at Finsbury Park, with additional trains laid on to bring the milk from the stations further north along the line which ran through Hertfordshire and on to London. During this time there were various theories about the problems faced by farmers. Much of the criticism came from "those who stood beyond the farm gate and never got mud on their boots". 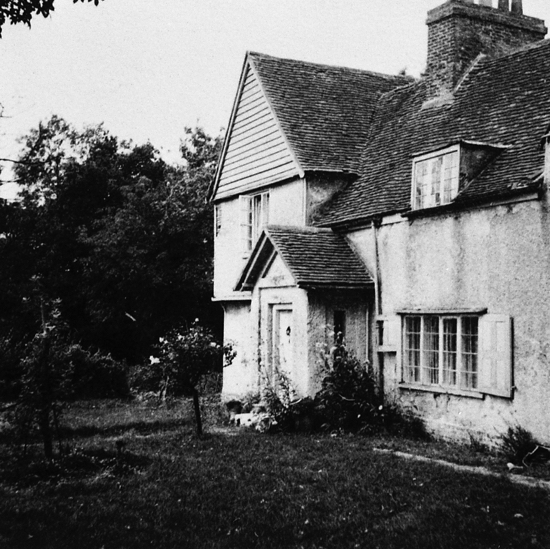 Gardiner Wilson lived at Tollgate Farm, North Mymms. He was not a farmer but a manager with the Great Northern Railway. His assumption that farmers were in many cases the authors of their own misfortunes due to lifestyle choices was not uncommon and tapped into a general sense of unease that somehow farmers had lost sight of their true function within the rural balance of the agricultural interest. One of the problems faced by farmers was that many of the professional families moving into the county felt they were buying into a dream of the rural which did not always take into account the realities of making a farm pay. Hard economics and a vision of beautiful countryside did not always sit comfortably together. One of the many sources referred to several times by Julie in her thesis is the book ​"Rural England. Being an Account of Agricultural and Social Researches Carried Out in the Years 1901 and 1902, Volumes I and 2 (London, 1902)" by Henry Rider Haggard (June 1856 – May 1925). Haggard was an English writer who was also involved in agricultural reform. The following are notes from Haggard's records of his communication with Gardiner Wilson. Mr. Wilson was of opinion that it was altogether chimerical to hope that townsmen would ever return to farms in any considerable number. He said that what would happen and what was happening in my own immediate neighbourhood – I suppose he meant in Norfolk and Suffolk – is that ‘decrepit, worn-out, and partly insane men’ take the employment that no able-bodied persons can be found to fill. He added – and this it interesting – that in an agricultural area of between 2,000 and 3,000 acres round Colney Heath, during his twenty years residence no fewer than sixteen farms had been absorbed into other farms, or the farmhouses converted into private residences. This concentration, he said, naturally produced a reduction in expenses – by which he meant wages – fewer men being required on the farms than used to be the case. The following example had come under his personal notice. A farm of 200 acres absorbed a farm of sixty acres occupied for forty years by a man and his wife, who had brought up a large family of sons and daughters. After the small farm had been swallowed up, the only additional labour expense which the tenant of the large farm had to meet in order to deal with the added land, was that of one more horse and the employment of a man where he used to employ a boy. and ‘the exclusion of the brewer, except at the wish of the inhabitants.’ Also, he added, landed proprietors must reside on their estates and take an interest in the welfare of their poorer neighbours as they did of old. Julie writes that it was not all doom and gloom. She records that there were some “who were able to seize an opportunity at the most difficult of times”. 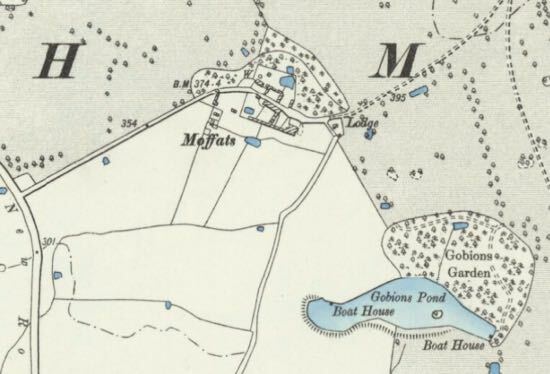 Charles Honour of Moffat’s Farm, North Mymms, was at the time of the 1881 census working as an agricultural labourer in North Mymms with a young family to support. He was interviewed by Rider Haggard twenty years later." "A very interesting farmer whom I saw on a subsequent day was Mr. Charles Honour, of Moffat’s Farm, North Mimms. Mr. Honour told me that he had worked his own way, and that what he possessed he had made, for he did not start with a penny. Since the Russian war he had been climbing up, till he took his present farm of 350 acres, of which only twenty-two were pasture. He had a family of sons, all of them teetotallers like himself, of whom one was a baker. Three of them stayed at home and helped him, and he said of these three that they got through as much work as five hired men – the old story of men labouring for their own house – and that he paid them according to what they did. Labour, he told me, was very expensive and inferior, and the young men, many of whom were ‘neither use nor ornament to themselves or anyone else,' kept going away. Rents in that district he put at from 15s to 25s the acre, according to the quality of the land. Farmers he thought were not doing ‘so very well.’ The business require great perseverance and practical men to make it succeed. There was very little margin or profit. He had managed to get along, but if he were asked, he could scarcely say how, perhaps because they all worked together, daughters as well as sons, but many only ‘scratched along’ and were not able to do their land as it ought to be done. He kept pigs and cows, retailing the pork and milk himself, which, he said, paid better than sending them to London; also he did a great deal of carting, and were it not for the money earned thus would, he declared, be sometimes hard pressed. Mr. Honour said that there were no small-holdings in that neighbourhood; indeed, if he could do so he should like to find a little farm of from fifty to 100 acres in which to put one of his sons. ‘When starting lads,’ he added, ‘let them have a pinch to begin with,’ in my opinion a wise saying. Charles Honour’s profits were small and he supplemented his income by some carting work, but he had moved his family into another social bracket. His daughter, Kate, was active in the Primrose League, receiving a Special Election Bar for her efforts in canvassing during the 1906 election which saw the Tory candidate, Sir Hildred Carlile, returned as member for the St. Albans division at a time of overwhelming Liberal gains elsewhere in the country. In her capacity as Warden for her local district she rubbed shoulders at committee meetings with the local gentry, not on equal terms perhaps, but nevertheless an improvement in status for a girl whose father began his working life employed by others and had progressed to the point of farming his own land and drawing the eye of a man such as Rider Haggard. 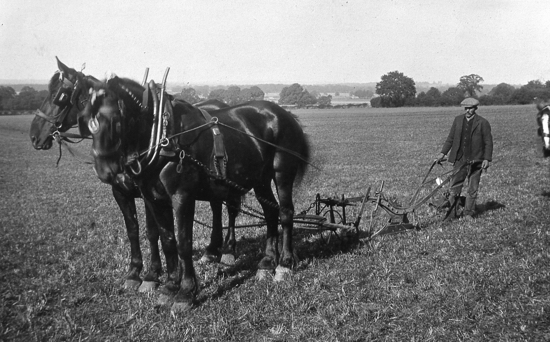 He was still farming 376 acres at North Mymms at the time of the Inland Revenue Land Survey, and as a member of the Hatfield Rural District Council served on the Hatfield District Sub-Committee of the Hertfordshire War Agricultural Commission. Charles Honour did not claim that farming in a climate of depression was easy, but he brought to the task an energy and ambition which was mirrored in those who joined the Hertfordshire farming community from beyond its borders. These newcomers brought new ways of looking at old problems and a commitment by themselves and their families to hard work which helped them through the transition from one culture to another. In her thesis, Julie looks at the paternalistic model of land ownership. She says that Hertfordshire had a long tradition of attracting the newly wealthy looking to own a country estate. And she disagrees with some historians who suggested the owners of these estates showed little enthusiasm for the traditional paternalistic responsibilities. She says her research shows that some engaged with their local environment in meaningful ways, using their energies and wealth to fund a range of social improvements. One such family, she writes, was the Burns of North Mymms Park. The pervasiveness of the paternalistic model could also be seen in those whose background was not just urban, but international. 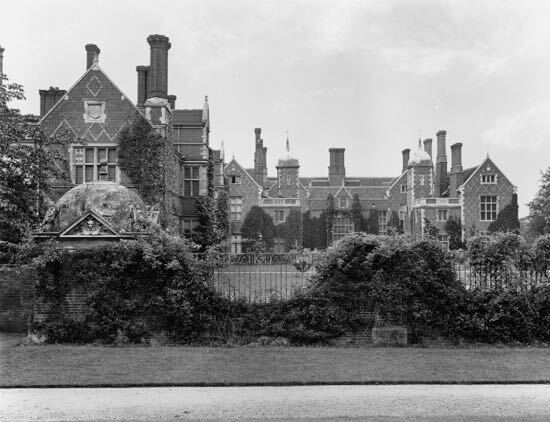 The American financier, Walter Hayes Burns, bought North Mymms Park in 1893 for a price in the region of £75,000. 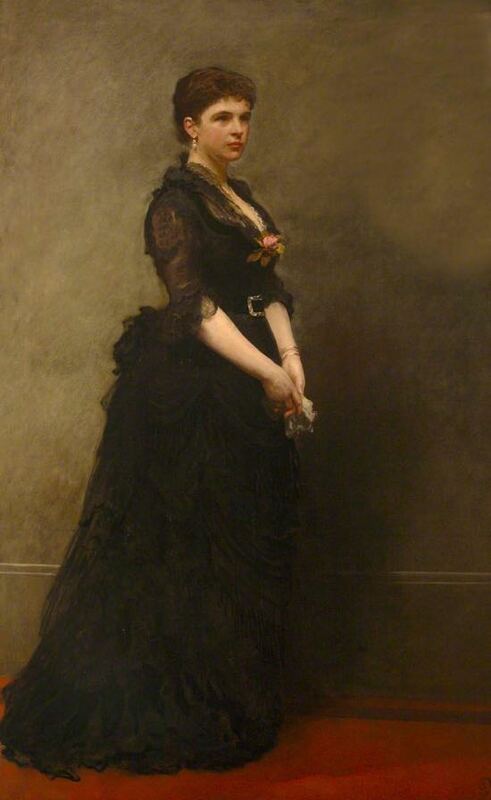 His wife Mary was daughter of the banker, Junius S. Morgan, and Walter was senior partner in the London office of J.S. Morgan and Co. In 1899 their daughter married Lewis Harcourt, first Viscount Harcourt, on which occasion Mrs Burns, now widowed, gave a tea and entertainment for the women and children of the estate in the afternoon, followed by a supper in the evening for their menfolk. The parish magazine reported that around 633 people were included in the day's festivities, but more importantly, 'The men felt grateful not only for the day's pleasure but for the continuous employment provided for them through the winter as well as the summer months'. Upon Mary Burns' death in 1919, the magazine included details of some of her contributions to the wellbeing of the parish: she had funded the provision of a parish nurse and a local Men's Institute, as well as being a generous contributor to the restoration of the parish church, and one of her final acts, although seriously ill, had been to send a cheque to cover the cost of the peace celebrations in the village. 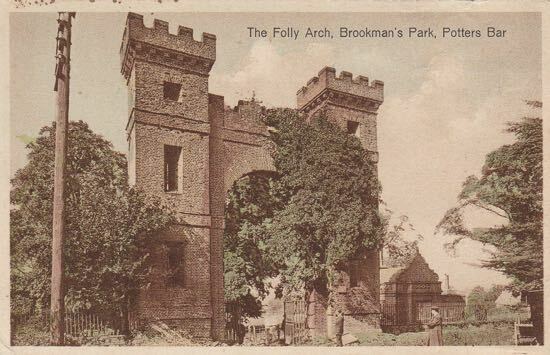 She was also the first landowner to offer ground for allotments when approached by the parish council in 1894. (Online editors note: See Chapter 10 in Dorothy Colville’s book North Mymms Parish And People and Chapter Three in Peter Kingsford’s book A Modern History of Brookmans Park). Those who moved into the county brought with them an energy, and more importantly the funds, to make a real difference to their surroundings. The rebuilding of cottages was a way of making an announcement of one's arrival, but more than that it also reflected a greater concern with the daily environment of the rural labourers. Along with the building of village halls and recreation grounds, it denoted an assumption that local conditions were driving the depopulation of the villages. In the 1914 Kelly’s Trade Directory entry for North Mymms there appear details of 12 men who would have been farming in the parish, employing local families. The following was written by Dr Julie Moore for this feature. In some ways, North Mymms parish stands out in contrast to the adjacent parishes of Hatfield and St. Albans as there is a much larger representation of Hertfordshire born men and men from neighbouring counties. When the agricultural depression of the 1870s and 1890s hit the county, many of those who took on vacated farms came from Scotland, attracted by the good rail and road links to the London markets for their preferred crops of potatoes and milk. Scottish representation in North Mymms is confined to John Sinclair, although James Crawford, born in 1884, came from a Scottish family which took on a St Albans farm some time before 1881. However, it is noticeable that of the 12 men named as farming in North Mymms, only the Hart family at Red Hall Farm, Roestock, pre-dated the onset of the depression; they appear in the 1851 census at the same farm. John Hart died in 1917, aged 67, with no children of his own to take on the farm. Some smaller farms have disappeared altogether, with fields sold off for housing developments, attractive to those looking for homes in pleasant countryside to raise their families. Others have been subsumed into larger farm tenancies which offered more opportunities for those looking for good returns on crops. The end of the 19th century and the years leading up to the First World War saw many changes in Hertfordshire as towns grew and villages emptied. In 1851, the population of North Mymms parish stood at 1,128 souls. In 1911 this number had increased by 80% to 2,029. In contrast, the parish of Essendon, just up the road, had seen its population fall from an 1851 figure of 739 to 601. Making a living from farming was hard for farmers, but for agricultural workers it was even harder. Many were attracted by the economic opportunities offered by the growing building, railway, retail and other expanding economic sectors, moving their families into the expanding towns. For those living and working in London, moving into Hertfordshire combined the advantages of working in town, with the more pleasant surroundings of living in the countryside. For those whose fortunes prospered as a result of the expanding commercial and financial sectors, Hertfordshire with its large number of country estates offered the chance to oversee their businesses during the week, with the delights of country house living at the weekend. There were many commentators who were skeptical that these urban newcomers would understand the traditions of the rural and contribute to the local economy in a meaningful way. However, many of those with newly acquired fortunes buying their country estates, also bought into a model of paternalism that made a difference to the lives of local people at a time when older families were finding their own fortunes under pressure. This site would like to thank Dr Julie Moore for sharing her research and knowledge with the site, and for taking time to help edit this short feature highlighting some of the North Mymms references in her work. We would also like to thank the Images of North Mymms Collection for the use of the photographs used in the piece, and local archivist and historian Peter Miller who helped by providing additional information.